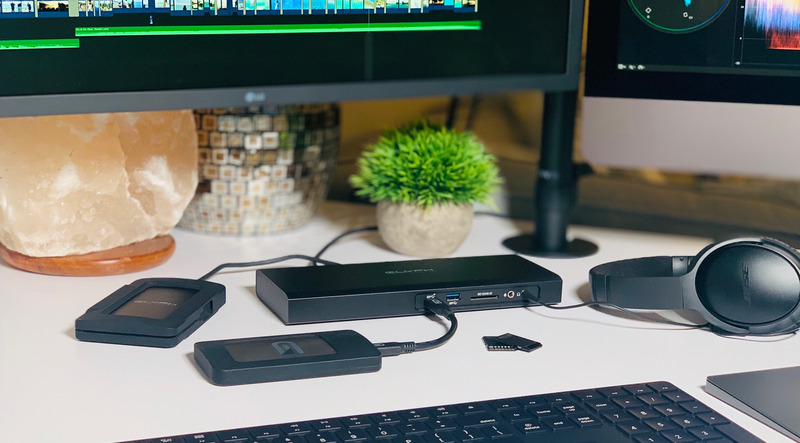 The Glyph Thunderbolt 3 Dock is designed to sit at the center of your creative universe. Delivering more ports, more power, and more storage at the fastest speeds possible. Connect all your peripherals and charge your Thunderbolt 3 (USB-C) enabled Macbook Pro with a single cable. NVMe SSD speeds up to 1,500 MB/s allow you to increase storage capacity without sacrificing performance. Creative multi-tasking, elevated.